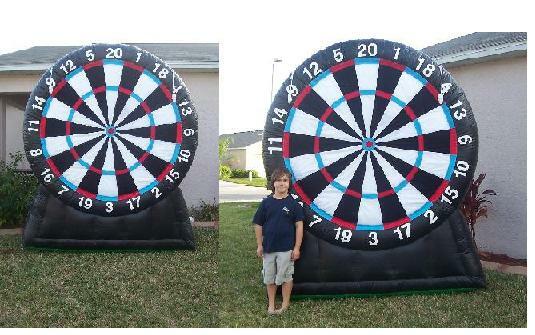 We offer the added fun of inflatable games to your party and occasion!!! $45.00 with rental of Bouncehouse, add $10.00 if you want it by itsself. Who doesn't love smacking a wiffle ball floating on air! These are a new source of fun when space is limited or when you want it all.. Great additions when you are planning an event/fundraiser for your organization. Remember let Hopper's Bouncies help plan your next event..